Who doesn’t know Hana Tajima? Half British, half Japanese fashion designer who is also known for her flamboyant hijaab wearing style that crazed by many urban girls. She is seen as an evolution as well as a fashion icon especially to Muslim women around the world. She never fails in bringing her own unique and modest style. Apart from being a role model for young people, Hana Tajima has also been chosen to give an international touch in modest clothing. Good news for all of you! She is collaborating with the clothing brand, Uniqlo, to produce a collection named Uniqlo x Hana Tajima in conjunction with Hari Raya Aidilfitri this year which I know that you cannot wait to dress up like her this Eid! This simple yet classy collection is designed by using a folding technique which can be styled at any events, accentuating the wearer's style and personality. 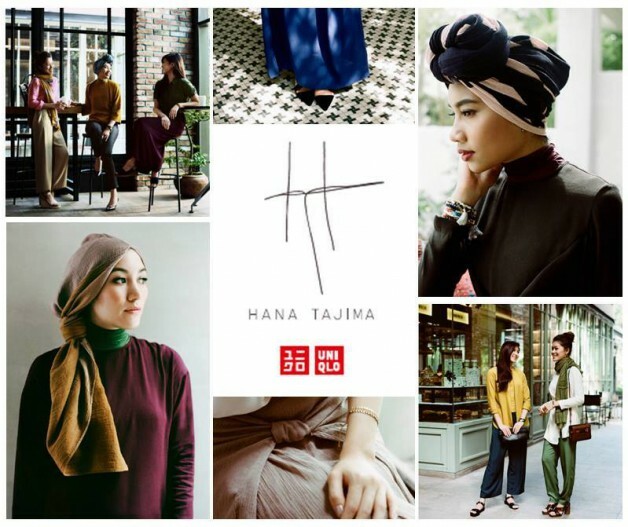 Just so you know, Uniqlo x Hana Tajima is the first collection from Uniqlo that highlights polite and well-mannered apparel specifically for Muslim women who wanna dress modestly, whilst maintaining to be stylish and beautiful. 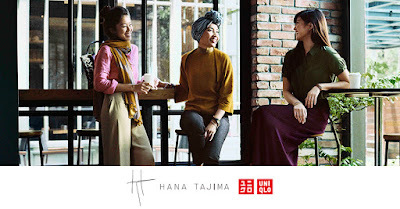 The wide scarf is also among the best collection of Uniqlo x Hana Tajima where it can be worn in various ways such as turban. This scarf can be matched with casual jeans, rayon blouse, long dresses and bonnets too. The best thing is this scarf is made by using their renowned technology; AIRism, an easy-breezy fabric that will keep you cool when the temperatures rise and won't trap the heat. 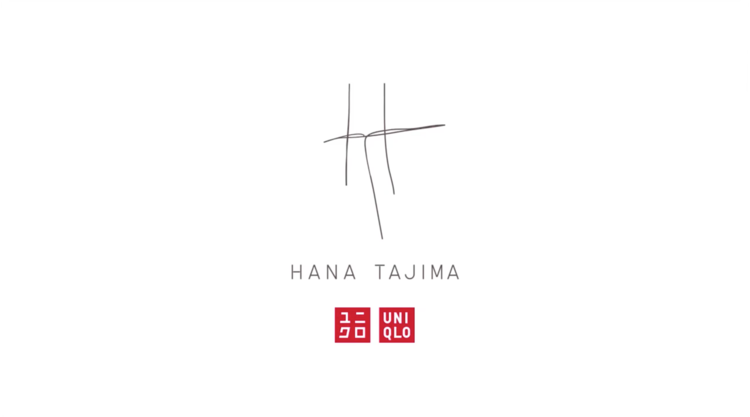 Uniqlo x Hana Tajima collection is now available at all Uniqlo chain in Malaysia and selected buildings in Singapore, Indonesia, and Thailand. Trust me, you’ll rock the whole day with this collection. Check out their website to find the outlet location near you. Don't ever forget to visit their stores today! Uniqlo. Because less is always more.